For your crawl space insulation to perform like it should, it’s essential to install the right type of insulation, the right amount of insulation, and use the correct installation technique. At Oliver, we can improve the condition of your crawl space with products that are durable, long-lasting, and made especially for the crawl space environment. The old-fashioned way to insulate a crawl space was to install fiberglass batt insulation between joists and vent the crawl space so outside air could circulate beneath the house. Unfortunately, this combination usually leads to the problems listed above. 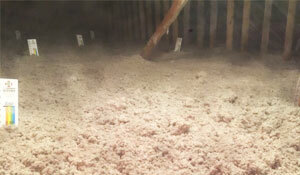 Fiberglass insulation doesn’t respond well to the moist conditions that can be found in a crawl space. The cotton-like material absorbs moisture, gets soggy, compresses and loses R-value. Fiberglass batts often end up on the crawl space floor in a soggy mess. The main advantage of fiberglass insulation –low cost—is totally negated when the material ceases to perform its main function.